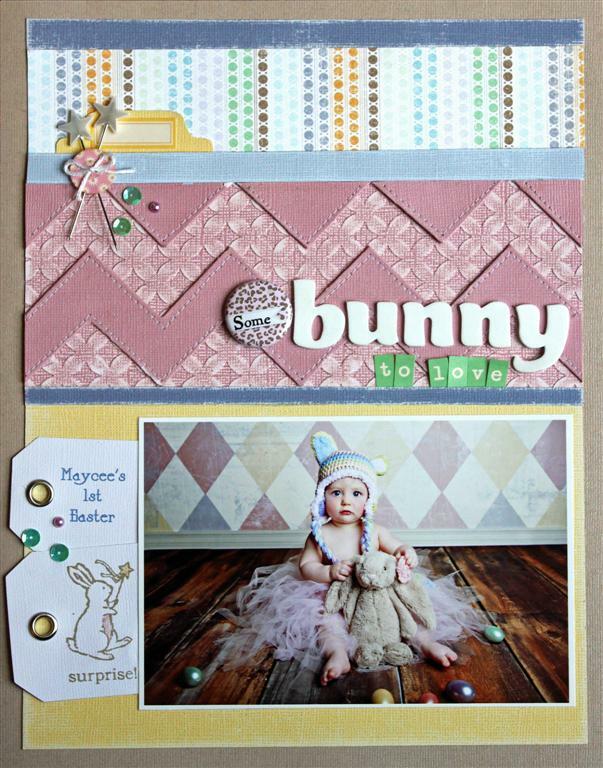 If you happen to pick up a copy of the spring issue of Canadian scrapbooker you will see this layout within the first few pages, as another take on the cover. If you take a close look you will see that it is almost ALL Core'dinations, the only piece of pattern paper is at the top. The layers of mauve are created with Core Vintage Cardstock that has been embossed and sanded, and then topped with the sewn chevron layer. I really love the effect. hey you snuck in a few posts while I wasn't looking, lovin the new look blog btw, and love the texture you have create with the core here Lyduia!